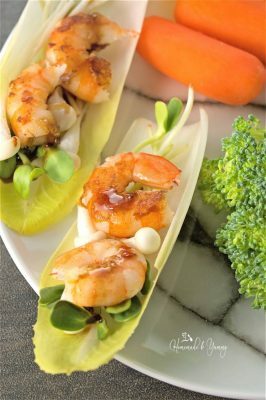 Easy Healthy Spicy Sweet Shrimp in Endive Cups | Homemade & Yummy Homemade & Yummy | Fun delicious recipes and more. 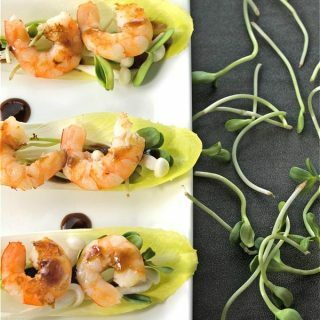 Easy Healthy Spicy Sweet Shrimp in Endive Cups are perfect for getting back on track to nutritious, healthy eating. 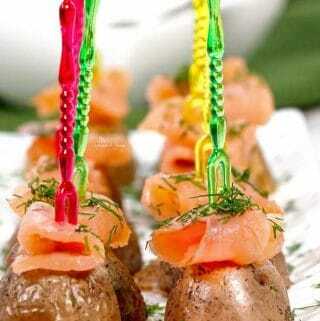 Quick and easy to prepare. Dinner in under 30 minutes is always a winner! Yes, here we are, January. The holidays are over, decorations are put away for another year. Resolutions are made (maybe). What have you decided to work towards this year? If you are like so many people, one of the first things we think about after the holidays is eating healthier. All those calorie dense foods have likely packed on a pound or two. Now is the time to focus on eating in a different direction. The talented bloggers of #FoodBlogGenius are here to help you. This tasty collaboration of Light & Healthy recipes will kickstart your healthy eating food journey. Which category do you fall into? People that love healthy eating. People that really are not interested in healthy eating. People that love eating everything and try to balance the good with the bad. Our family falls into the last category. We love eating everything, and my husband especially loves desserts!! However, balance is the key. We cannot live on chocolate cake alone. Speaking of balance, what about exercise? Is this another item on your resolution list for this year? Are you a die hard cyclist or runner? Avid sports player? Maybe martial arts is your thing. Yoga reminds me of healthy eating. No matter what form of exercise you enjoy, we all need some balance, stability, and stretching in our routine. Since we are focusing on balance in eating, today I started with my first online yoga class. 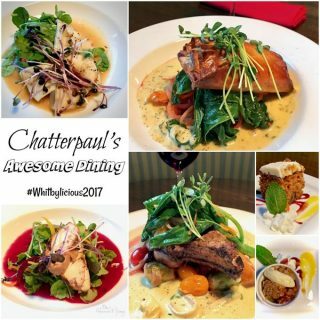 Moving your mindset to really looking at what you are eating can be a challenge for some people. 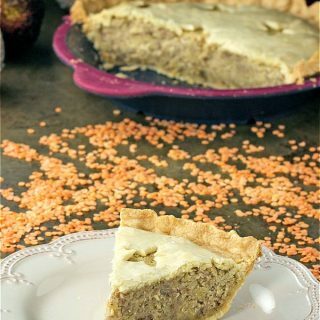 Sure we (well most of us) love the taste that bacon, cheese, and cream add to any dish. 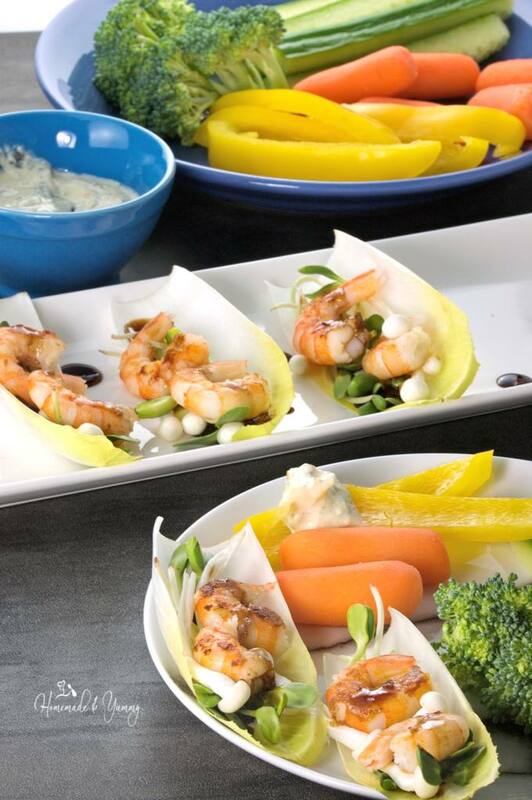 These Easy Healthy Spicy Sweet Shrimp in Endive Cups prove that healthy eating does not have to be boring. 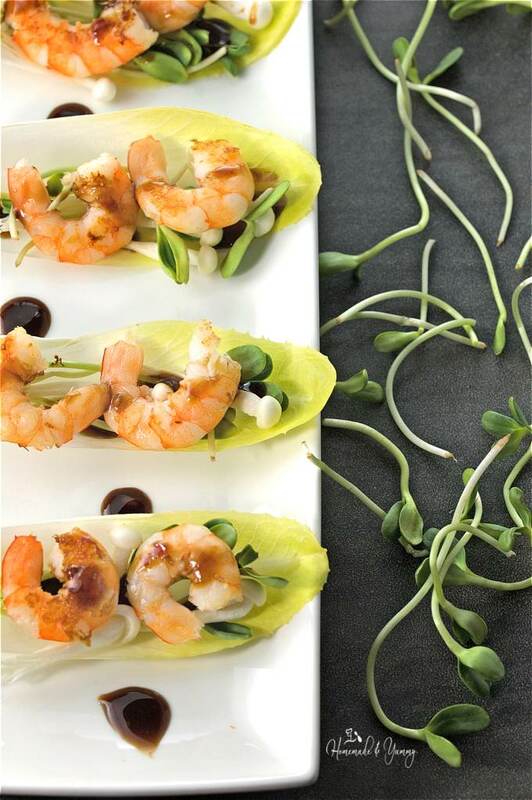 Shrimp sautéed in spicy chipotle olive oil, a sweet with heat drizzle, are perfect on a bed of sunflower shoots and enoki mushrooms. Cooking with cast iron is a great way to prepare meals. 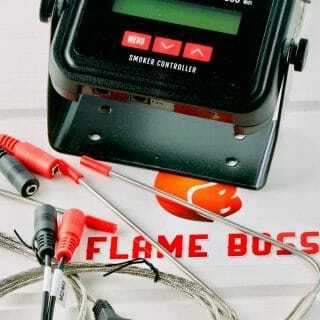 It can go from stove top, to oven. 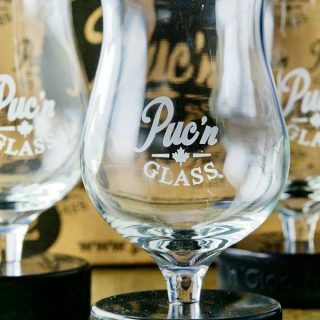 It keeps things warm and looks great on the table too. I have several Lodge cast iron pans and love using all of them. What is your biggest struggle with healthy eating? If you are like me, the thing I find most helpful with making sure we eat healthy is preparation. I don’t mean cooking, I mean actually having things ready and waiting so it is easier to cook. Getting all the veggies and fruits ready so you just grab them out of the fridge is such a time saver during the week. Yes, it is a bit of work to get things done ahead of time, but so much easier when you need to prepare your meals. Do your weekly fruit and veggie shopping. Once you bring the produce home, wash, cut and place in bags in the fridge. You will be surprised how much easier it is to grab them out of the fridge and throw the veggies into a stir fry, or in a lunch with some dip if they are ready and waiting for you. Snacking just got a lot easier too. Start your journey to healthy eating. Be sure to stop by and visit the other bloggers of #FoodBlogGenius check out their Light & Healthy recipes. Easy Healthy Spicy Sweet Shrimp in Endive Cups paired with some veggies and dip make a great lunch or light dinner option. 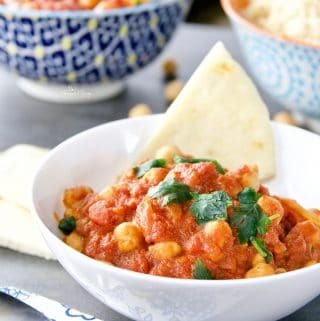 Quick and easy to prepare, you can make these any night of the week. Give them a try today. Do you have a great tip for healthy eating? I would love to hear it. Leave me a comment. Looking for more healthy choices? Quinoa Stuffed Bell Peppers or Simple Slow Cooker Pho are great dinner options to try. 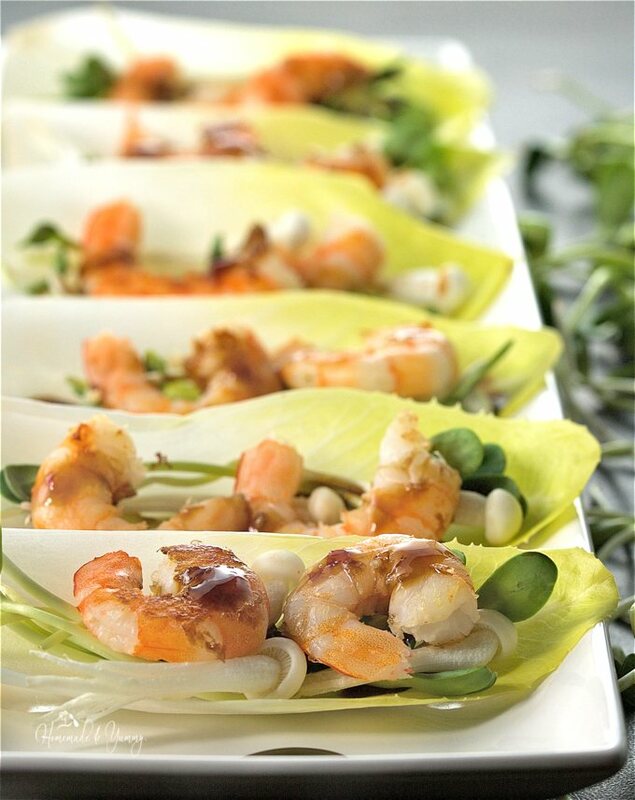 Easy Healthy Spicy Sweet Shrimp in Endive Cups are perfect for getting back on track to nutritious, healthy eating. Quick and easy for a fast, tasty dinner any night of the week. Mix the chili sauce and fig balsamic and set aside. Prepare the endive cups. In each cup add some sunflower shoots and enoki mushrooms. Place on a serving tray and set aside. 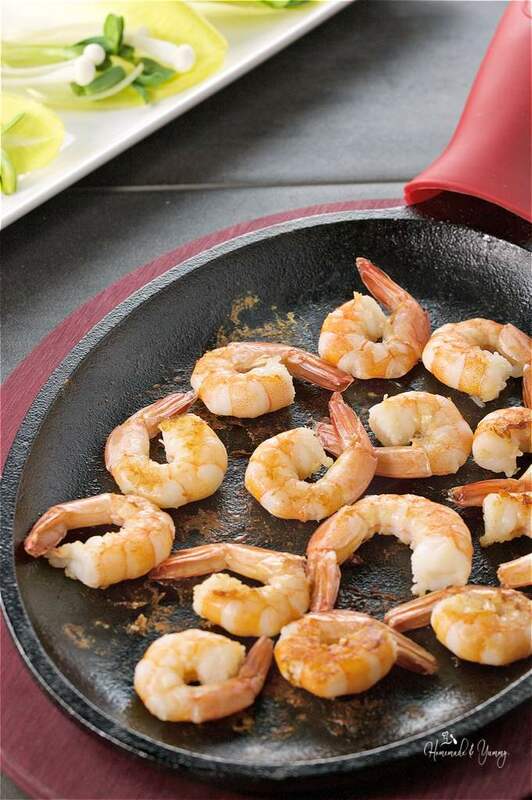 If you are using fresh shrimp, remove shell, clean, rinse and pat dry. 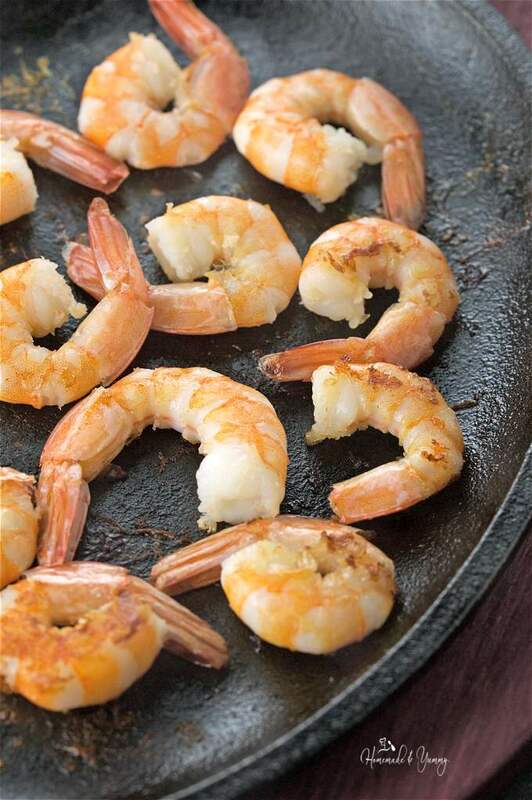 If you are using frozen shrimp, rinse and pat dry. 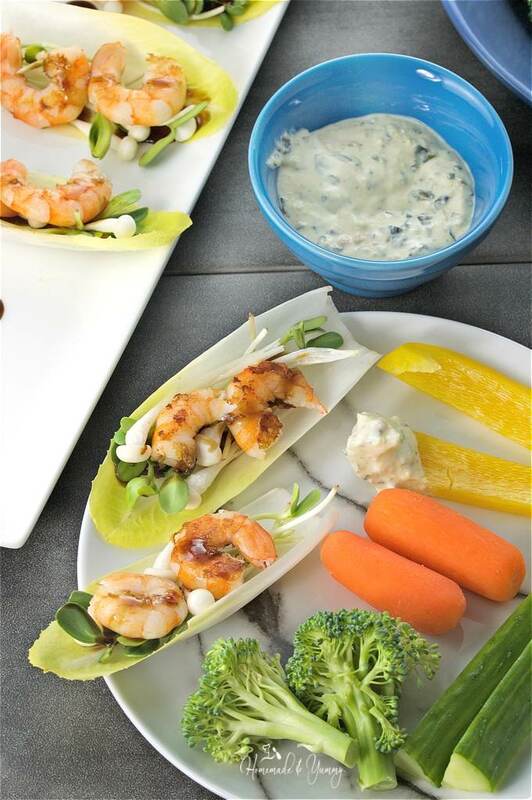 Place 2 shrimp on each endive cup. Drizzle with the chili/fig sauce. Serve with and assortment of fresh veggies and dip. 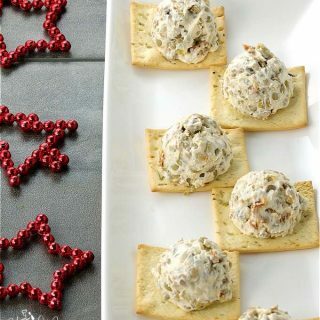 These are perfect for lunch or a light dinner. I used frozen pre-cooked shrimp, since that is what I had in the freezer. Feel free to use whatever type you like. Just remember if you are using pre-cooked, reduce the cooking time since you really only need to heat them. As for the sunflower shoots, you can use pea shoots or any spouts you like. I used chipotle olive oil, but any spicy oil to sauté is fine. If you don't have spicy oil, use regular olive oil and add a few red chili flakes.